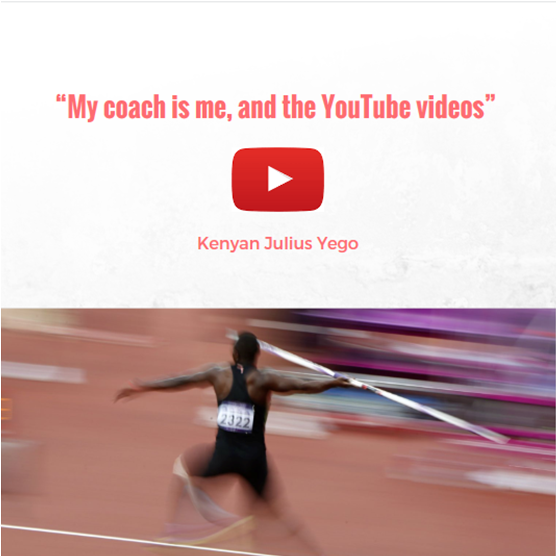 Kenyan Julius Yego yesterday (Aug. 26) secured a gold medal at the World Athletics Championships in Beijing in javelin after learning how to throw on YouTube! Yes, he almost entirely self-taught how to throw watching the tutoral Videos of Jan Zelezny and Andreas Thorkildsen, both of whom won Olympic and world titles.! (complete article is here ). Now, why is that so important for us in Marketing? Because it shows once again how online Tools are becoming more and more imporant and crucial in our lives. I’m always amazed when I read such things. The power of digital new technologies and digital tools is really changing everything all around us, even without us realizing it. The way we communicate is transitioning from verbal to written, liking it or not. The way we exist it not only physical but also virtual, even if we don’t have online profiles, there are a lot of info of ourselves in internet anyway. Even NOT having an online kind of form tells something about us. How companies cope with this transitioning? It is crucial their presence on the web to create a strong online visibility. And what is the key there? Providing interesting contents. Network is not only to promote products but also to create the brand awareness. As well we have to establish our brand off line as we have to dominate it online. How do we implement a new brand online? – ONLINE VISIBILITY It is not only about creating a website and various social media profiles – That is the mandatory – It is creating the expertise in the specific market that will put our brand to be the first. Being the first source of information when it comes to that products is what makes people think it is we are “the expert”. Thinking what and where the customer would look for our products and providing content to full fill their need. 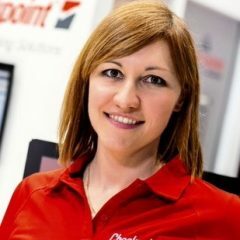 – INTERACTIVITY Maintain and create as many interactions as possible, dedicating resources only to be there on the time when customers need. Use online chat, twitter comments, LinkedIn forum, email fast answering, whatever it takes. Never forget: “Consumers rule” Jeff Bezos – CEO Amazon. – CONTENT RELEASES. Never leave too long customers without contents and information. Follow the positive momentum and softly but frequently repeat the selling proposition within communications, in the same time maintaining the relation with the prospect/customers. – GOOD COPY-WRITING. Content such as posts and articles need to be simply written , clear and effective. A content must conduct the customer through a message long enough to win all possible objections and rejections. A short copy does not provide information but is it manly promotional and it does not work anymore. High importance has a catchy Headline that attracts immediately users to stop and read the article. Only at the end of the page, insert a call to Action. Easy no? See you next time! Previous Previous post: Marketing Job: how it’ll look like in the near future? Next Next post: LIDL: what do you do?